In our quest to smoothly integrate laptops and controllers on stage we regularly bump up against ergonomic obstacles. It should feel totally natural and easy to use your digital gear live, but too often they sit awkwardly and at uncomfortable angles. In my regular practice and performance sessions, I have found that by angling my gear (both laptop and controller) I not only achieve a much more comfortable work flow, but also connect more with the audience by showing them the performance – not the back of my gear. Surprisingly, there was no simple and portable controller stand that would prop up my controllers on the market – so we went out and found the perfect one. This amazing object unfolds from a CD-thin rectangle into a very stable and strong 12 degree platform in just a few seconds. It’s no surprise then the AVIIQ stand won a design and engineering award from CES in 2010. The German made hylight material bends easily but un-folds to create a very sturdy platform. While it was originally designed for laptops, we found that its design is actually perfect for a wide range of controllers. 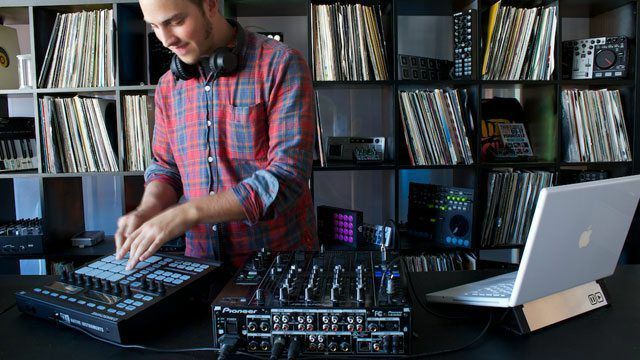 Easily holding everything from a Midi Fighter Pro to a full sized VCI-400! 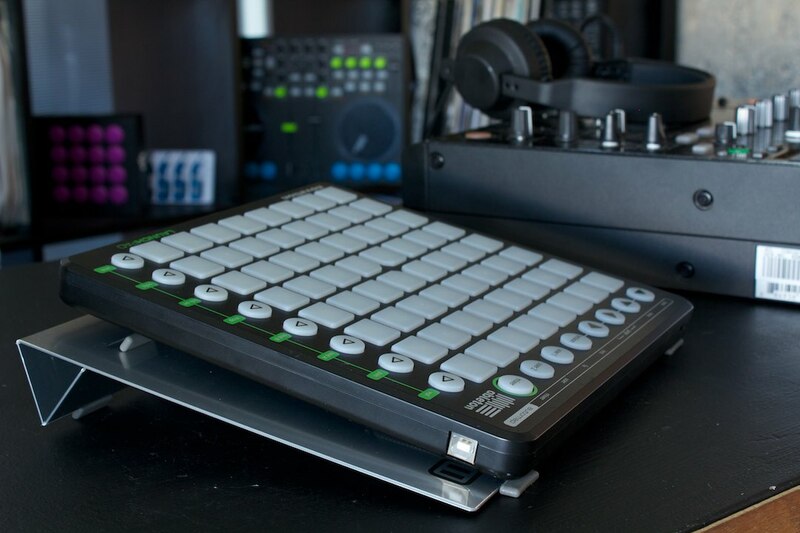 I have been using the controller stand at all my gigs for the last few months and can’t imagine not performing without an angled prop for my Midi Fighter Pro. While there are many other ways you can prop up your gear for less money, they are bulky, slide around and hardly look good at all. Having a simple, very professional platform that slides easily into a bag without taking any space is well worth $50. Chances are many of you have played or seen a piano being played by a professional pianist. 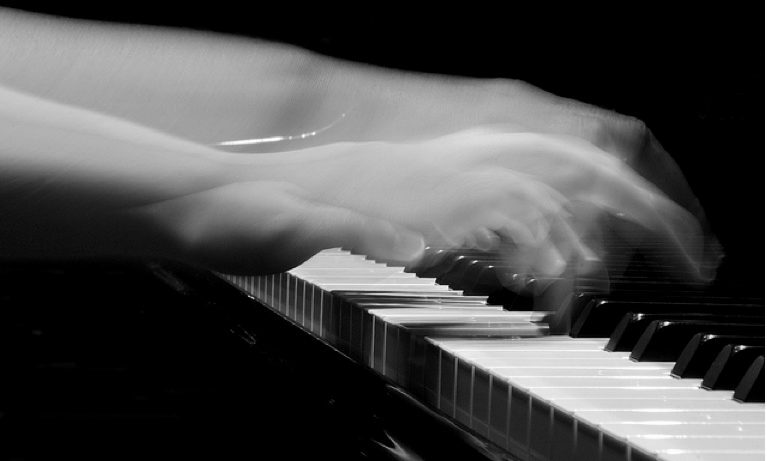 For this classical instrument and many others as well, the ideal hand to wrist position is well known. Unfortunately, because we are standing above our gear, achieving that position is impossible with flat/boxy controllers. Furthermore, with the gear laying flat the audience sees nothing of the performance unless cameras and projectors are present. Angling your controllers forward achieves two important things. Adding more gear, especially bulk stands to your gig bag is simply not an option. We needed to find something that was light, packed up tightly and provided a stable platform that would not move around under heavy use. Luckilly the Aviiq laptop stand offered all of these functions and looked pretty sweet too, so we co-branded them and are now offering the line in our popular web store. Bottom line: Lighter, faster to set up and less expensive, this works perfectly for a laptop but is a little too bouncy for instruments. 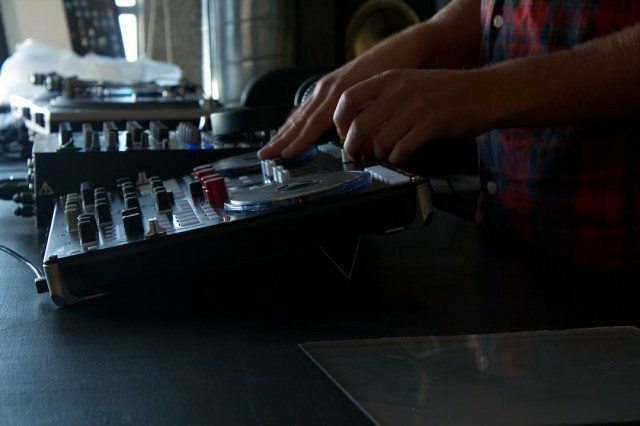 The controller stand is ideal for controllers because it’s unique cantilever design provides excellent stability without any bouncing while you rock faders and buttons. The “Quick Stand”, while being less expensive and easier to set up is less ideal for controllers because it lacks that stability. 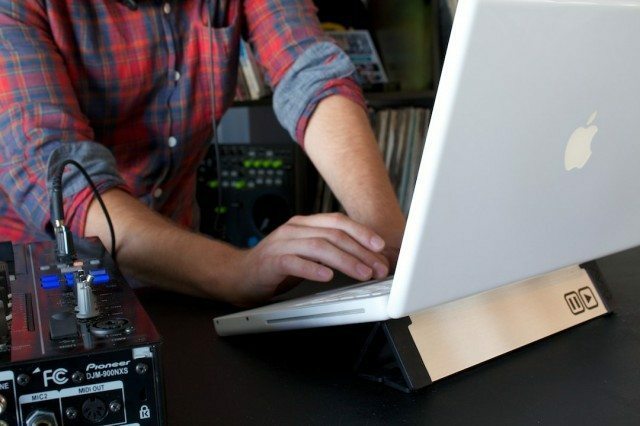 We do love it under laptops however, for which the Quick stand is perfect. 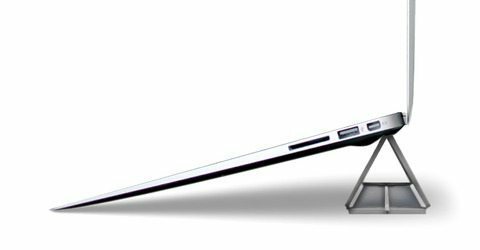 By raising up the laptop at an angle, the keys are easier to access and feel more comfortable. The screen is elevated at a more natural viewing angle which is easier to read from a distance.